When a bride asked for a fun, child-friendly, casual and colorful wedding, my first thought was pinwheels! 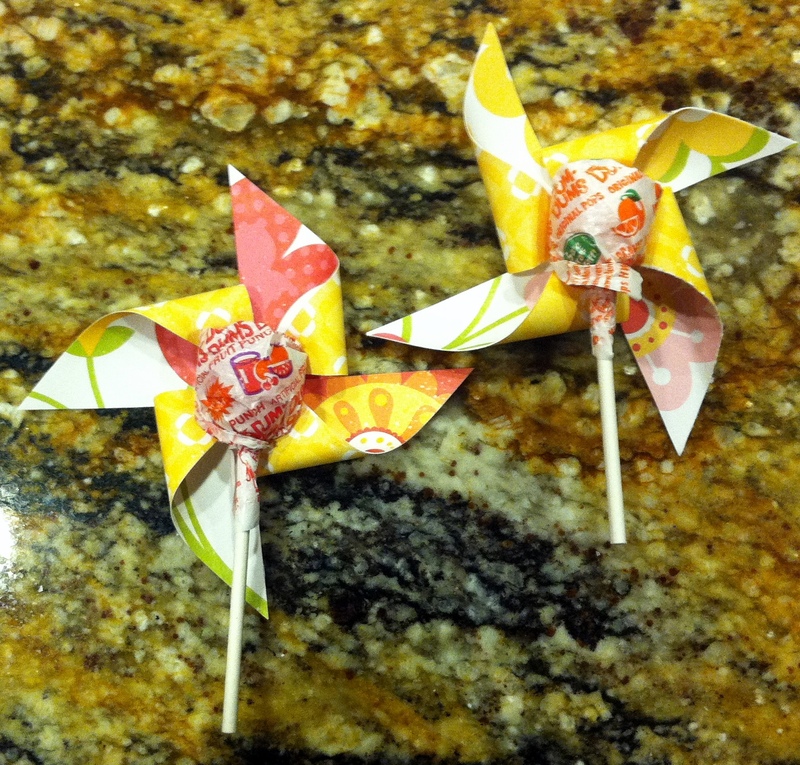 The pinwheels of our childhoods have become sophisticated and can be used to bring fun and whimsy to any event. Plus, they are easy to make, inexpensive, and can fit any decor. To make a pinwheel, you will need to start with a square piece of paper. For aisle decor, I use 12″x12″ double-sided scrapbook paper. 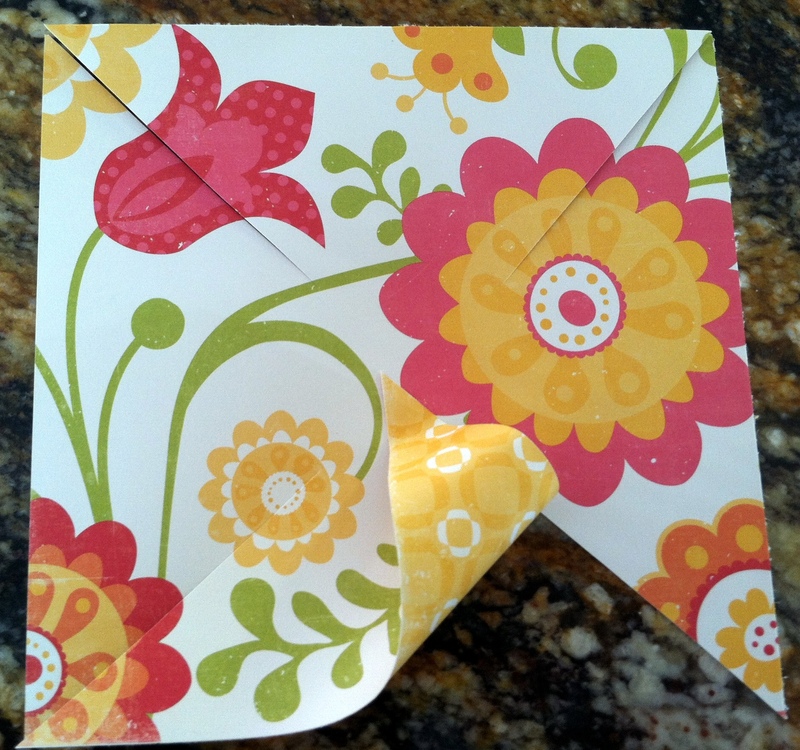 At each corner, cut towards the center of the paper stopping about an inch from the center. Then, using a glue gun, secure every other corner to the center of the paper. Once your 4 corners are secure, you can either use the pinwheel as a single pinwheel, or make smaller pinwheels and glue them into the center of the large pinwheel for a more detailed effect. If you don’t want the pinwheel to spin, you can glue the pinwheel onto a dowel. If you want the pinwheel to spin, secure the pinwheel to a dowel by using a pin or nail. Then you can finish the pinwheel by gluing a decorative piece into the center of the pinwheel or wrapping the dowel with ribbon. (It’s actually easier to wrap the dowel first and then attach the pinwheel). 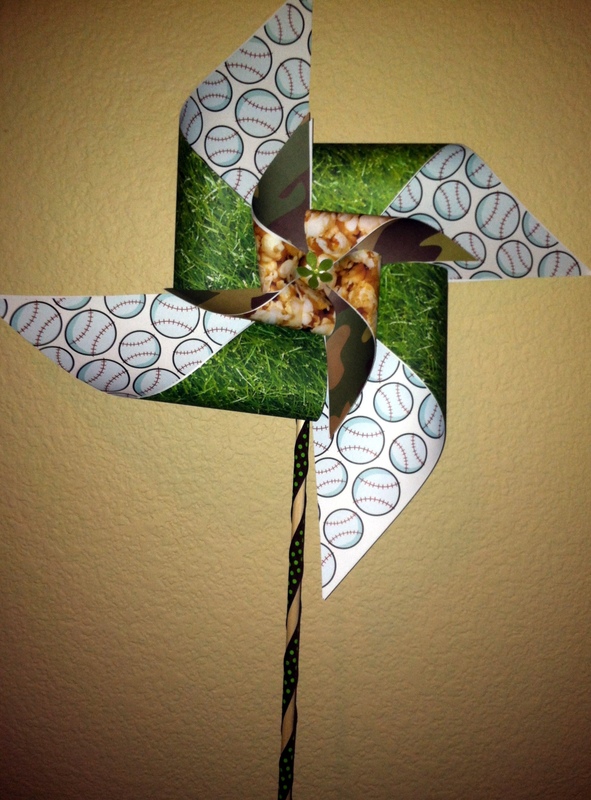 I am thinking of using Christmas paper to make pinwheel ornaments for our tree this year, or even to use as gift tags.